TSC online registration for new teachers is usually done online to teachers who meet the requirements for registration after which they are issued with certificates of registration bearing a TSC number. The online registration system enables one to register, access and download their payslips online and view their personal details. It is a requirement by the Teachers Service Commission (TSC) that anybody who has undergone training as a teacher in Kenya, must be registered and issued with a TSC number within 30 days. National ID and a recent passport size photo. Entry and work permits for non-Kenyans citizens. Scan All your documents prior to starting the registration process. Deposit Ksh 550 to either the Bank account or Mpesa details shown below. The Ksh 500 is a mandatory non-refundable registration fee and Ksh 50 is for the Bank Commission Charged to TSC. 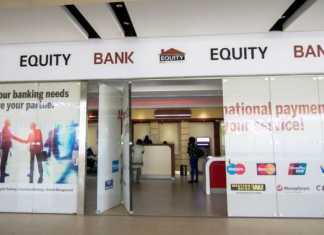 Ensure you have either the Bank Deposit Slip Number or Simple Banking generated Code before proceeding with the application. Use the 547700 as the business number and 01001000905001 as the account number. Once you have paid the registration amount and you have all the documents ready with you. Follow the next steps. 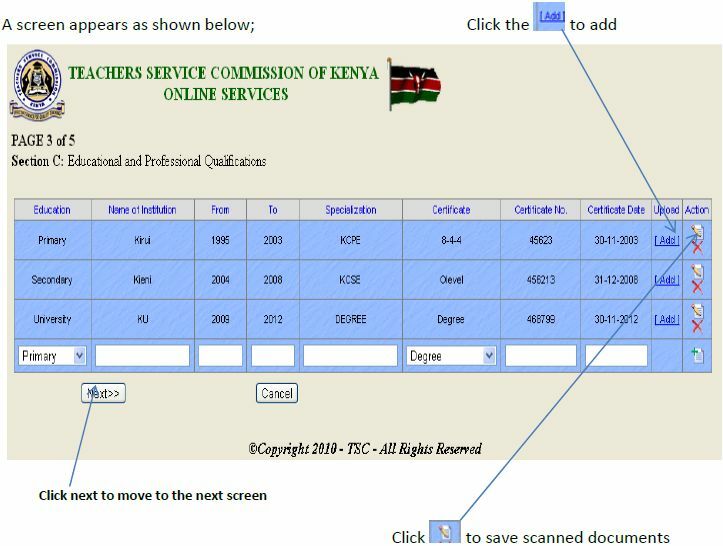 Visit the Teachers Service Commission website: http://www.tsc.go.ke/ or click here to access the TSC portal directly. 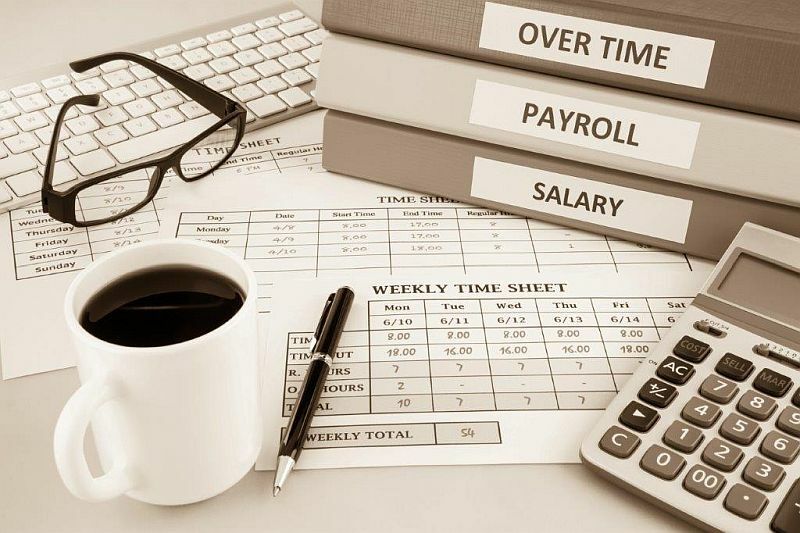 On the website under Online Services, you will see the Online Payslips tab. Click on it. For first time users click on the “Registration/Activate Account” link. You will be redirected to a new page. Fill the form by entering your personal and employment details taking into account that, the Provision of False information will lead to immediate De-Registration. All fields and sections of the registration application MUST be duly completed. You can save and leave the application halfway and complete it on a later time if necessary. You need to scan and Attach Only the documents that are Certified by the TSC County Director / Staffing Officer / Quality Assurance officer or HRO. Commission. The law clearly provides in Section 44 of TSC Act No. 20 of 2012 that, any person convicted of the offense may be fined up to Ksh 100,000 or imprisoned for Twelve months or both. For Expatriate Teachers, kindly attach a letter of clearance from the Ministry of Education Vetting Committee and deposit Ksh 550 through Direct Banking or Simple Banking. The KShs500 is a mandatory non-refundable registration fee and the Ksh 50 is for the Bank Commission Charged to the TSC Registration Account. On the dashboard under the “View payslip” section click on the “View payslip” tab and you will be able to view your payslips online. To view your current status, click on the “View Your Details” Tab. Password” menu option on the login page and reset your password by filling in a form. The TSC Payslip portal can also be accessed on your smartphone. Simply access the TSC website and under Menus select Online pay slips. Note: Your password security is your personal responsibility, do not allow anyone to access your account. Should your account be compromised, kindly reset your password immediately? To register as a new Teacher, visit the TSC website: http://www.teachersonline.go.ke. Click on the New Teacher registration link at the top of the page. Fill all the field shown on the next page by providing the right information. Click “Next” to move to the next page. Click “ADD” on the right hand side of the page to select your scanned documents, then click “Upload” to upload them as shown below. A message in blue “File Uploaded!” will be displayed to confirm that the file has been uploaded succesful. Click the “Back” button to upload the other documents and once all the documents are added click “Next “ to move to the next step. Click on “Action” tab to make the fields active for typing and then select the type of document to upload from the drop down list and attach the scanned documents as shown below. Click on the “Upload” button and once you’ve uploaded all the documents, click “Next” to move to the next form. Select mode of payment and enter the the pay-in slip number. Save and finalize after filling all the required fields and you’re good to go! Suffers from physical or mental infirmity which renders the person incapable of performing the duties of a teacher. There are five teacher education programs as shown below that are offered in different learning institutions to cater to the Education System and career development in Kenya. The ECDE is a program in which teachers are trained through in-service courses offered in District Centres for Early Childhood Education under the supervision of the National Centre for Early Childhood Education (NACECE). NACECE also conducts monitoring and evaluation, trains trainers and supervisors, and develops the curriculum for the ECDE program. PTE is provided in 18 certificate level practical colleges through a two-year residential program. Secondary teacher education is provided at the diploma and degree levels in diploma teacher training colleges and universities respectively.